At the most inopportune time, I’ve gone out of town for what could be a life changing opportunity (more on that later), and as usual, I set out from my hotel, on foot, to find a Taphaus that should have been, according to Google maps, an 11 minute walk. However, I’m a Florida girl and 40 degrees and windy cuts me to my core, and I decided to eat at the hotel restaurant. Soooooooo glad I did! 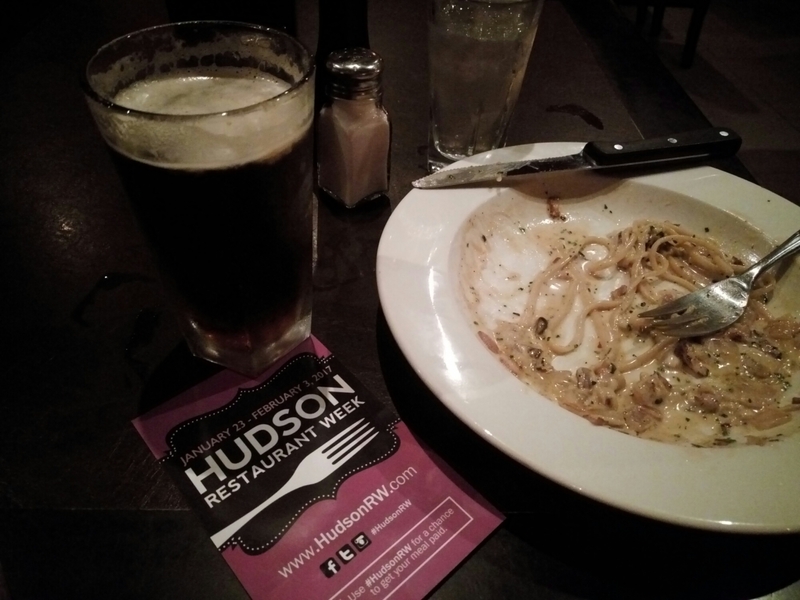 One of the restaurants featured in the Hudson Restaurant Week is in the hotel! Score!!! I hate travelling alone, but dinner for one like this one could be addictive. Then, to find a shrimp & crab pasta with bacon & hazelnuts in a lobster cream sauce made me unexpectedly happy. 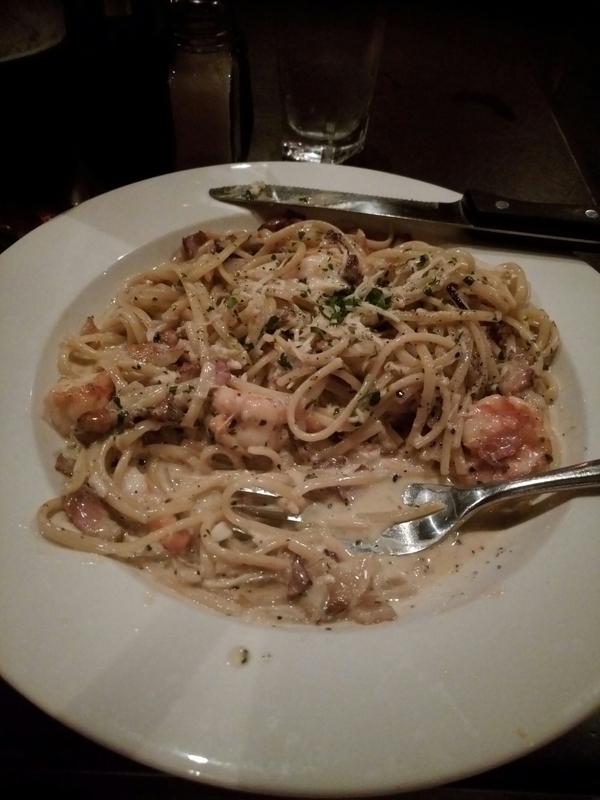 In fact, this may be the best seafood pasta I’ve ever had…And I’m from the FL Gulf coast!!! All in all, Fire and Oak Grill in Jersey City at the Westin hotel is a complete WIN!